I’ve had a busy week on my blog this week. I’ve been on the blog tours for The Beachside Sweet Shop by Karen Clarke, To Rome, With Love by T A Williams and The Dead of Winter by Billy McLaughlin, posted a review of the fabulous After the Fire by Jane Casey, and I did the Rapid Fire Book Tag too. I haven’t been quite as restrained with my acquisitions this week as I was last week. 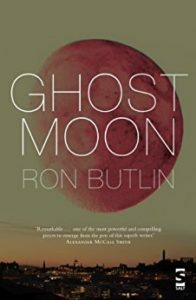 Ghost Moon by Ron Butlin – this has been on my wish list for a while but I can’t remember where I first heard about it. 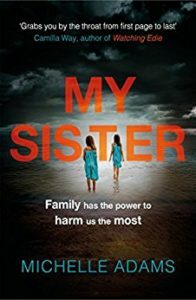 Having been thrown out onto the Edinburgh streets by her family, Maggie knows she must fight to survive. Many years later, the struggles she had to endure can be kept a secret no longer. Set mostly in post-war Britain and inspired by a real-life story, Ghost Moon is narrated with humour and compassion. A life-affirming read. 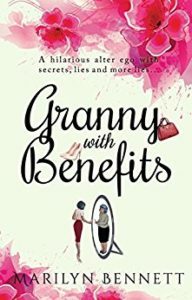 Granny with Benefits by Marilyn Bennett – look out for my guest post from Marilyn tomorrow. 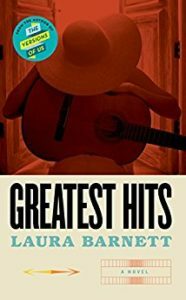 Greatest Hits by Laura Barnett – I loved The Versions of Us so hope this one is as good. 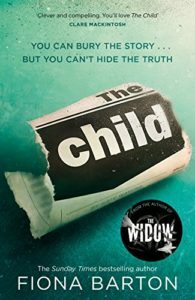 The Child by Fiona Barton – from the author of The Widow, this sounds fab. Horace Winter Says Goodbye by Conor Bowman – this one attracted me as soon as I saw it. Horace Winter has led an unexceptional life. Ever since that long-ago day, when the Very Bad Thing happened, he prefers to spend time with his butterfly and moth book instead of with other human beings – an interest was passed on to him by his father. But shortly after his retirement from his job as an assistant bank manager, Horace receives some devastating news and is forced to confront the life he has led (or hasn’t led). As he does, he meets Amanda. And Max. He gets a man jailed (sort of) and rescues the man’s son (sort of). He discovers a letter his father never posted, and sets off on a quest that changes everything. As Horace begins to let life in, he starts to experience a world which had almost entirely passed him by. Will he discover that man he was meant to be before it’s too late? It’s Killing Jerry by Sharn Hutton – keep an eye out for an extract from this book at the end of the month, along with a lovely giveaway. Breakdowns and break-ups, manipulation and thievery, green-eyed phoneys and unscrupulous deals. Pretending to be someone else just won’t cut it this time and featuring on the late evening news as: missing, presumed murdered, is only the beginning. 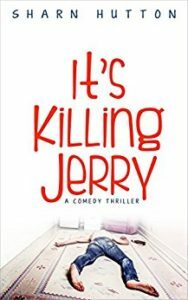 With adult themes, ‘It’s Killing Jerry’ is the head-hopping tale of Jerry’s desperately funny demise. 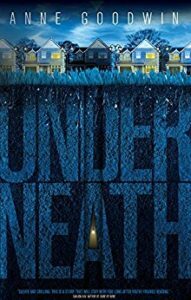 Underneath by Anne Goodwin – a psychological thriller which sounds great. Bestselling author Angela Lamb is going through a mid-life crisis. She dumps her irrepressible daughter Gerda at boarding school and flies to New York to pursue her passion for Woolf, whose manuscripts are held in a private collection. When a bedraggled Virginia Woolf herself materialises among the bookshelves and is promptly evicted, Angela, stunned, rushes after her on to the streets of Manhattan. Soon Angela is chaperoning her troublesome heroine as the latter tries to understand the internet and scams bookshops with rare signed editions. Then Virginia insists on flying with Angela to Istanbul, finds a Turkish admirer and steals the show at an International Conference on Virginia Woolf. 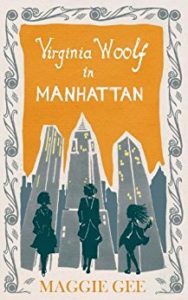 Virginia Woolf in Manhattan is a witty and profound novel about the miraculous possibilities of a second chance at life. 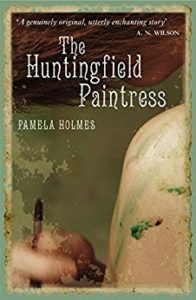 The Huntingfield Paintress by Pamela Holmes – this sounds like such an interesting story. I’d love to hear any thoughts on these books. Have you read them or been tempted to buy them? I haven’t read any of these books but they all look amazing. I would first try Granny with Benefits; it sounds intriguing. I love the cover for Killing Jerry. Thanks for stopping by, Alison. I don’t suppose you have an Apple device do you? If so, I’m doing a giveaway tomorrow to win Granny with Benefits. Your list is great, I’d happily read any one of those books but I really want The Child and Greatest Hits! Yes, I’m looking forward to those two as well. So many good books out there. 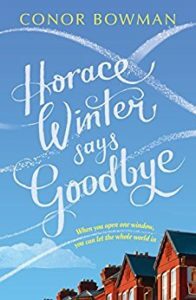 OK I’m definitely tempted by Horace Winter says Goodbye, it sounds just my sort of book. It’s gone on my wishlist until hopefully it drops in price. Thanks for stopping by, Hayley. Yes, quite a busy week for me which is great. Greatest Hits is out in June unless you manage to get a review copy. Have a great week! 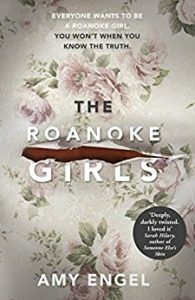 I can’t decide whether to buy the Roanoke Girls or not. I have a massive TBR pile, but 99p books are so tempting. I’m the same, Sheila, but I keep hearing about that book and thought that is might be worth 99p. I’ll probably never get to it………!